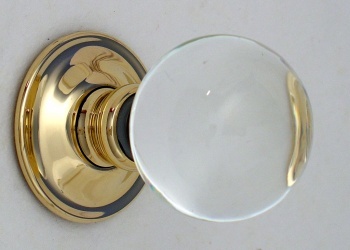 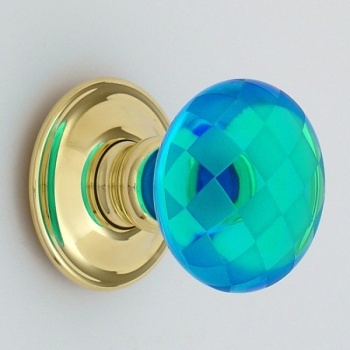 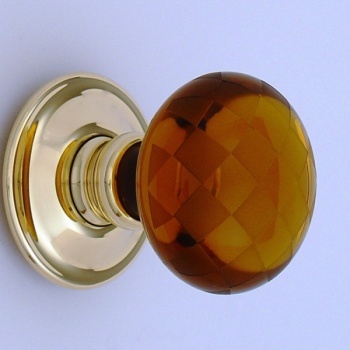 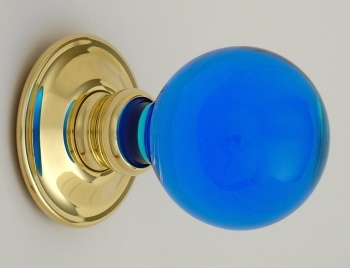 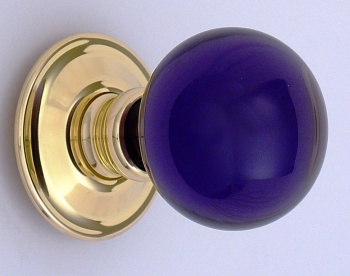 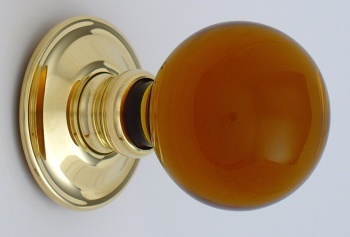 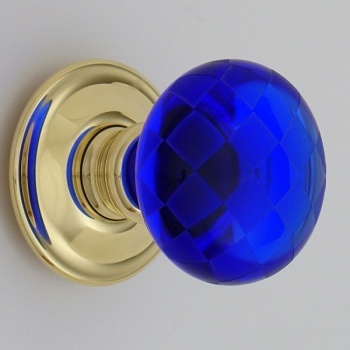 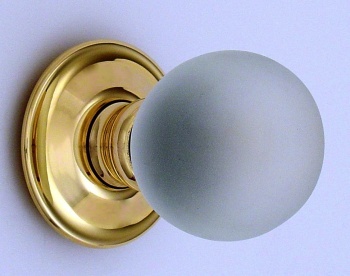 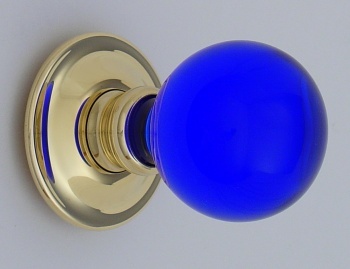 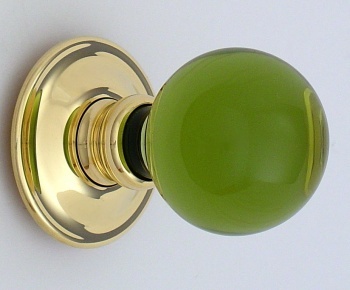 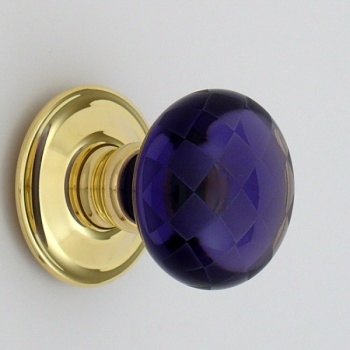 Highly decorative solid glass door knobs. 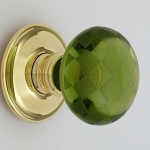 The classical uniformed squares add both a visual and tactile experience to the period door furniture, contrasting frosted and polished glass. 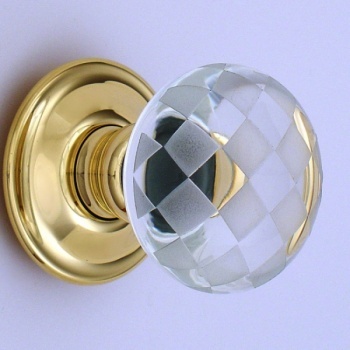 Available With two different finishes , clear glass with frosted squares or frosted glass with clear squares.